Mac and some "funky psych-rock guitars" are on the rapper's new "rock album"
In case you didn't know, Logic is a huge Mac DeMarco fan. He even has a Mac tattoo to prove it. 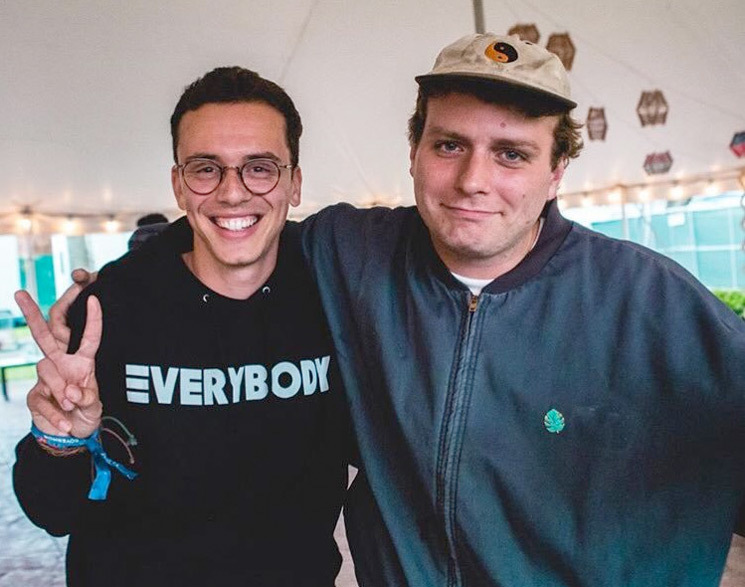 But at last, Logic and Mac DeMarco are about to collaborate whether you like or not. Logic is releasing a novel — yes, a novel — next year called Supermarket, and with it will be a soundtrack. Well, that OST apparently features a song produced by Mac DeMarco, Billboard reports. And, um, apparently John Mayer likes it? The sun begins to set, and it gets too cold to sit by the pool. Logic wants to share some new music, but the studio in his house is under construction. We climb through the butterfly doors of his BMW i8. He connects the Bluetooth, sits in the driver's seat with his hands clasped on his lap and plays the Supermarket soundtrack. Over funky psych-rock guitars, he sings in a beautifully low and gravelly voice. Mac DeMarco produced one of the songs; Logic proudly announces that John Mayer liked it. The most earnest man in rap went ahead and made a rock album. He's not worried if you think it's corny. And it might actually be his best act yet. So yeah, Logic doesn't care if it's corny — he got Mac DeMarco and some "funky psych-rock guitars" to make a "rock album." If your eyes still haven't rolled all the way back into your head, we'll leave you with an image Logic's Mac DeMarco tattoo, which you can never then unsee. Salad Days by @macdemarco and What For by @toroymoi Two of the most influential albums to me. Tame is next... a big thank you to @chueyquintanar he's the only artist I go to period!